*5-lb. plastic packages of “Tyson WHITE MEAT PANKO CHICKEN NUGGETS” with a “BEST IF USED BY” date of “NOV 26 2019,” case code “3308SDL03” and time stamps 23:00 through 01:59 (inclusive). The USDA says if products impacted by this recall are in your freezer, you should throw them out or return them to the store where you bought them. 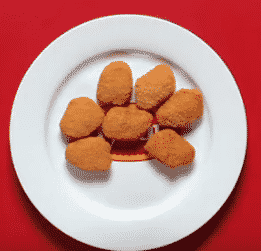 Purdue Foods is recalling 12-ounce packages of Fun Shapes Chicken Breast Nuggets, which contain milk not listed on the label, according to the company. Affected are 16,011 pounds or approximately 21,348 packages of the nuggets. The recall is for with a use-by date of March 11 and lot codes 17009010-19009010. Look for 12-ounce packages of the nuggets with a “use by date of March 11, 2019, and lot codes 17009010 to 19009010 in their refrigerator or freezer. The products also have the establishment number “P-369” inside the USDA mark of inspection.